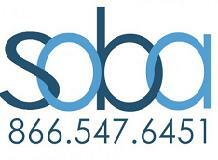 Soba's success is world-renowned for treating all types of addictions & alcohol abuse. We treat the underlying issues as a primary concern & offer treatment plans specific to the individual. We recommend 90 days or more for success with 1st time & chronic (multiple rehab) individuals. Services include 7-14 day medical detox, 30-90 day residential, & 6-12 mo sober community living. Located in Malibu on the famous carbon beach. Proof that you can get high end treatment without high end price. Most insurance accepted, JCAHO accredited.